From the moment your new puppy comes home he or she needs as much help as possible to become a well behaved pet and companion. Everything you do affects how your puppy learns making it important to develop your own understanding and skills. My puppy training classes can help you become a great teacher for your puppy so that common behaviour problems such as aggression, running away, possessiveness, jumping up, over-attachment and obsessive behaviours don’t have a chance to develop and your puppy grows into a well behaved adult dog. Using only kind reward based training methods, puppies progress together on the course. The six week training programme helps you to gain real confidence and training skills so you can develop a wonderful relationship with your puppy and become a kind, competent and responsible owner. Training courses are small, with usually 6, and no more than 8, puppies. They are suitable for novice and experienced owners and are designed to help you each step along the way to be a good teacher for your puppy. They are also a great chance to meet and learn with and from other puppy owners. Held in the evening so children and other family members can attend. I believe it’s important to encourage all members of the family to be involved in the socialisation and training of a puppy, so at my Puppy School classes you are welcome to bring children (5 years +) and other family members along. Unlike many other courses in the Sevenoaks area, my classes are held in the evening to enable those who work or are at school to come along if they wish. Classes are held indoors (so puppies can't run off! ), in a safe, hygienic environment with no adult dogs present. (NB. A veterinary approved disinfectant is used to clean the floor to prevent disease transmission). 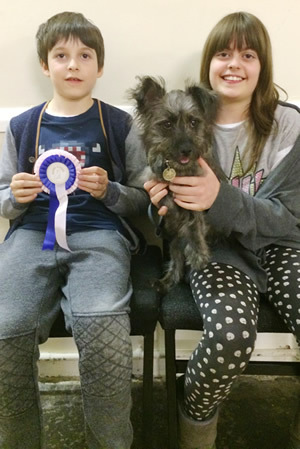 Reward-based puppy training in small classes. TUES. 30th APR. at 8.15 p.m. OPEN FOR BOOKING. Click here to book and pay. TUES. 21st MAY at 7.00 p.m. OPEN FOR BOOKING Click here to book and pay. TUES. 11th JUNE at 8.15 p.m. OPEN FOR BOOKING Click here to book and pay. *My courses are usually fully booked at least two weeks before the start date, so early booking is advisable. If the course you were hoping to book is full, there is a cancellation waiting list. See below for pricing, course information and information about private lessons. Go to the Enquiries Page for additional contact details. Take a look at the video opposite for a flavour of the Puppy School experience. I offer a six week puppy training course for vaccinated puppies under 20 weeks old following the Puppy School programme developed by a leading behaviourist. The course is a perfect foundation covering the basic dog training commands i.e. sit, down, stay, walk on a loose lead (walk to heel), recall and “off”. 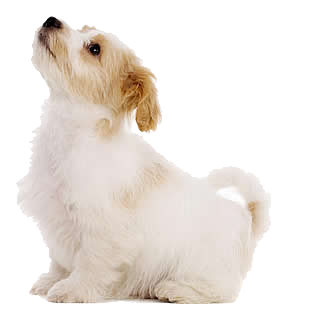 You can begin as soon as your puppy is fully vaccinated. Location: From Tues. 13th November, my classes are moved to Ide Hill Village Hall, Ide Hill Kent TN14 6JG. Price: £90.00 for six one hour lessons (Find a cheaper similar class size, offering at least 6 hours tuition, a course manual & with treats & toys & a free "goody box" in class in the Sevenoaks area, and I will match the price and take £5 off! You must provide details for the discount to apply). To book, use THIS LINK or for general enquiries use the contact form on the enquiries page, or call or text me on 07795 675634. I am also available for pre-course consultations about all things "puppy" either prior to bringing your pup home or once s/he is with you, and for private lessons at a cost of £45 for one hour. A course of four lessons covering the Puppy School basics costs £170. Throughout the year I run "Puppy University" courses for my Puppy School graduates or other dogs who have completed basic training of a similar standard. Please enquire if interested.